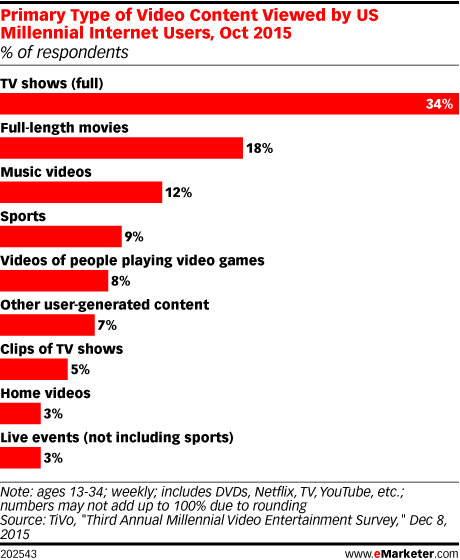 Data is from the December 2015 TiVo report titled "Third Annual Millennial Video Entertainment Survey." 3,001 US internet users ages 13-74 were surveyed online during October 19-22, 2015. Respondents were ages 13-34 (n=1,345), 35-49 (n=565), 50-68 (n=995) and 69-74 (n=95). TiVo is a TV software provider.